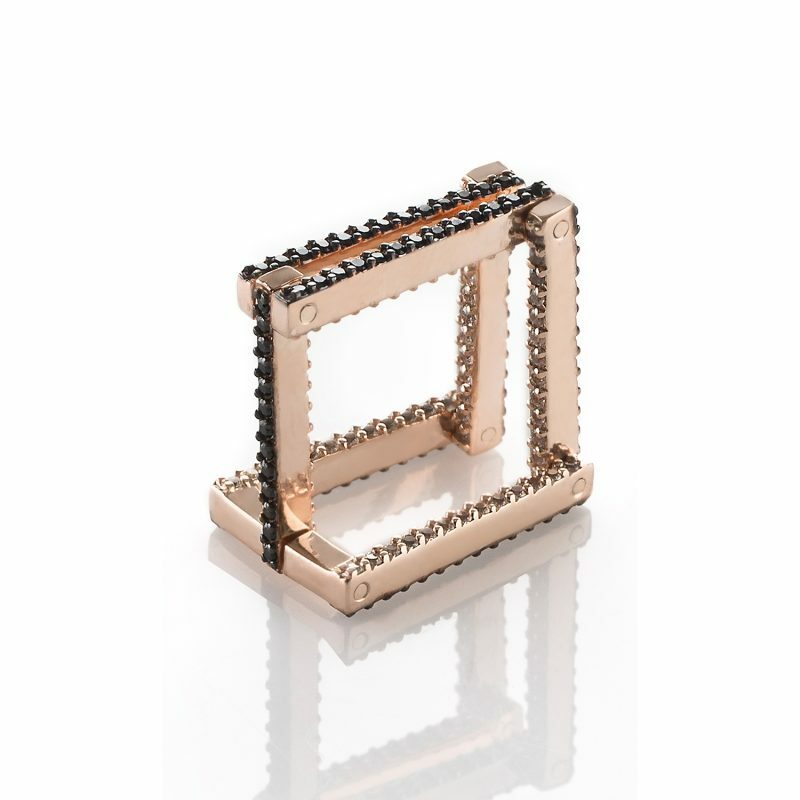 The In/Out Square Eternity Ring/Pendant features white sapphires and black spinels set in 9ct Rose Gold. Despite its clunky name, the ring is in fact elegant and versatile, and can be worn in 18 different ways, from a single ring, to a multi-finger ring or even a pendant. 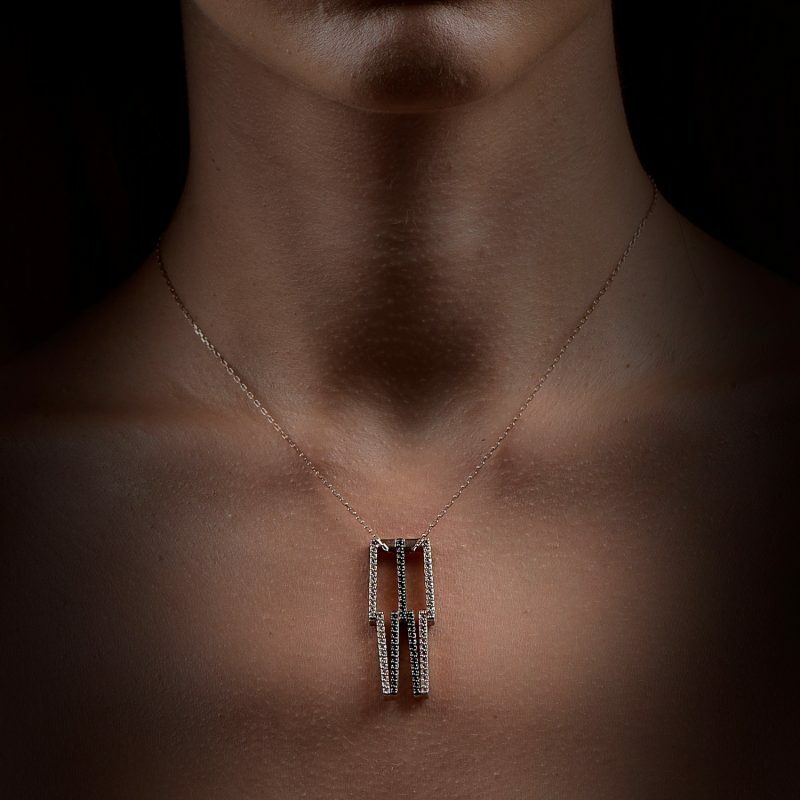 Part of the Transformers collection by MyriamSOS, which blends the construction of retro building links with the sophistication of precious materials and artisanal craftwork into a unique and playful design.